Truly, the San Juan Islands off of the Washington coast are a national treasure. This isn’t an official title, per se, but I’m making the call right here on my blog if nobody else has done it yet. Treasure, I say! Seattle residents who’ve spent time in the San Juans: don’t you agree? The San Juans are an archipelago (island group) squished into the upper west coast, snuggled right between British Columbia and the U.S. mainland. We PNW residents are so lucky to be within a short drive (and stunning ferry ride) of these special destinations. To me, the ferry ride alone is worth the trip. Nick and Natalie chose Roche Harbor on San Juan Island for their wedding destination, not only because of the beauty of the place. Actually, the island holds special meaning for Natalie in particular because her parents were married in Roche Harbor, only a short walk from where Natalie and Nick married just last summer in the gardens. How awesome is that? To get married where your parents tied the knot before you is such a beautiful way to celebrate their family’s story. As if their choice of venue wasn’t amazing and thoughtful enough, Natalie and Nick also did an awesome job of honoring both the location as well as Nick’s Greek heritage throughout their wedding. 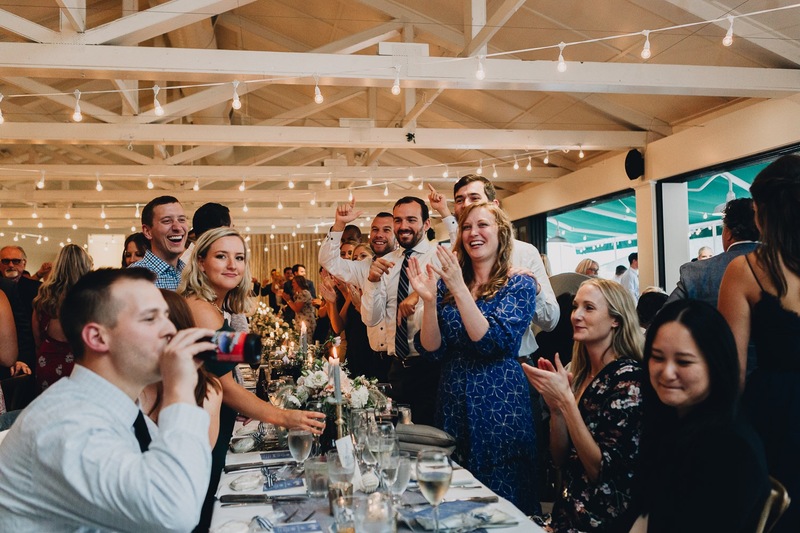 The San Juan Islands were represented thoughtfully through their reception decor, and the couple ended the night on the dance floor with a traditional -and totally thrilling- plate smashing. Lots of love for this couple and their amazing families and friends. OPA!